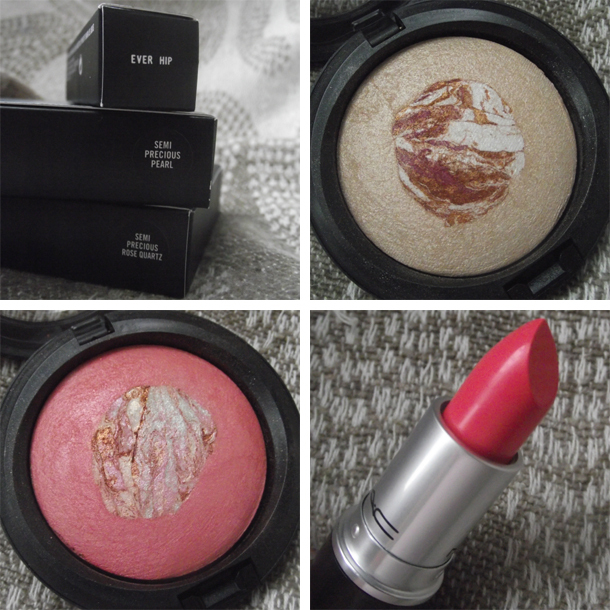 I recently picked up 3 items from the new Mac collections Fashion Flower & Semi- Precious, I decided to get Ever Hip after reading about all the hype and wanted to see for myself what all the fuss was about and I can see why now! It's stunning ♥ I also wanted the MSFs from the Semi-Precious collection, if money was no object I would've bought all 4 but had to be good! So I got Rose Quartz and Pearl. 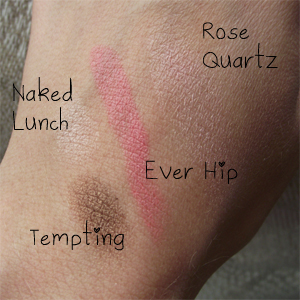 I used Rose Quartz today and loved the colour it gave and used Ever Hip on my lips. For my eyes I used Tempting all over the lid and then lightly buffed Naked Lunch into the socket to soften the line. Has anyone else bought anything from either of the Mac collections? What colours have you been matching up together lately? Thanks hun! I love it, I am so happy I picked up both MSFs and Ever Hip. Ive never owned any MAC MSFs.. But this collection seems to have some lovely ones..
Really lovely. The lipstick is incredibly pretty on you.